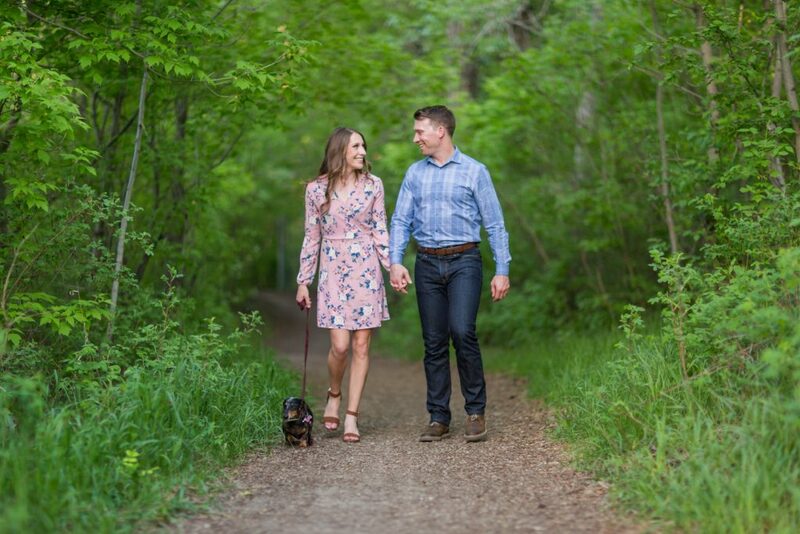 Spring is a very short season in Edmonton and this year Kathleen and Andy had the perfect evening for their cherry blossom engagement photos. 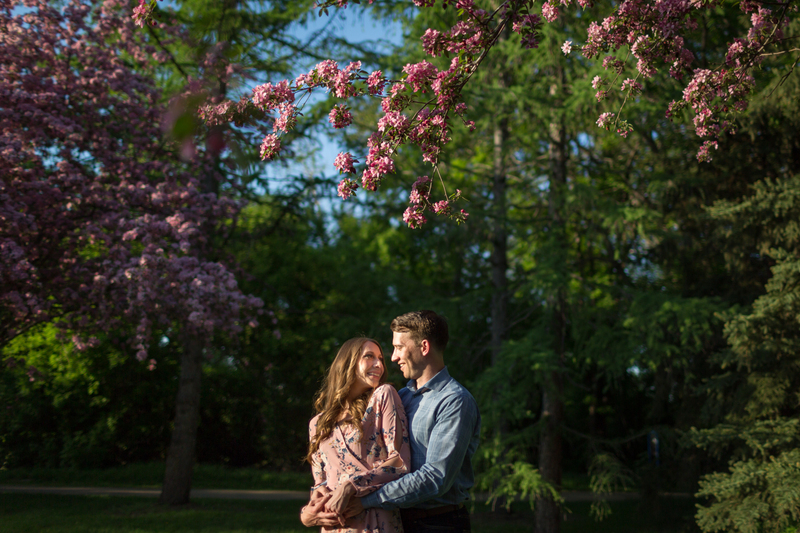 The best part about spring in Edmonton is the appearance of cherry blossoms at the end of May. This marks the official end of winter and promises the arrival of beautiful warm summer weather. 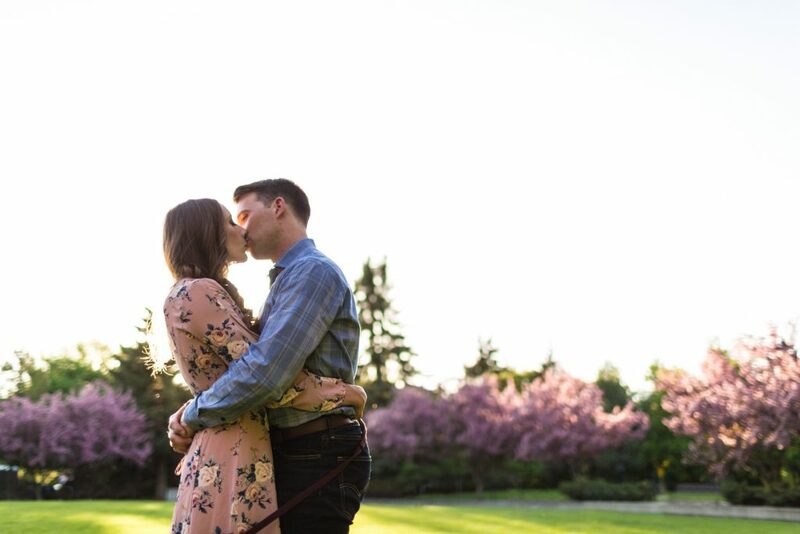 Spring is a fleeting season in Alberta so we were very lucky to catch the perfect night for some romantic engagement photos under the pink cherry blossoms. 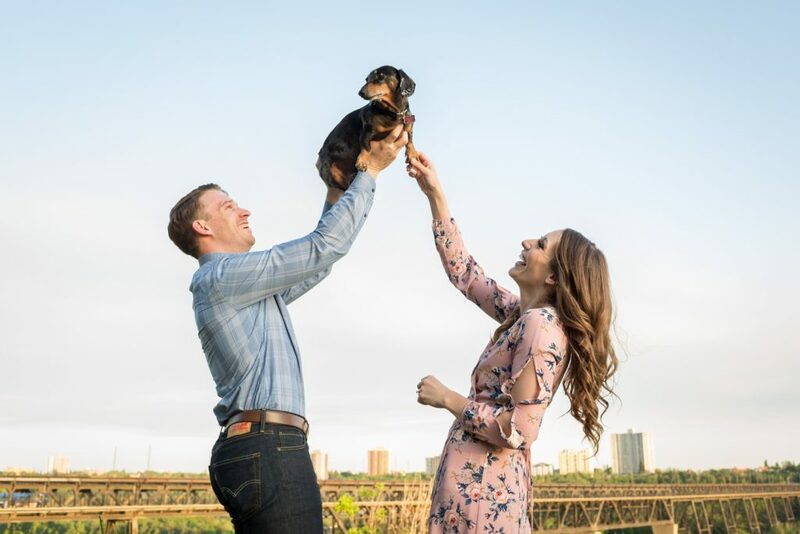 Kathleen, Andy and their dachshund, Sophie, met us at Henrietta Muir Edwards Park in the heart of the Edmonton River Valley. 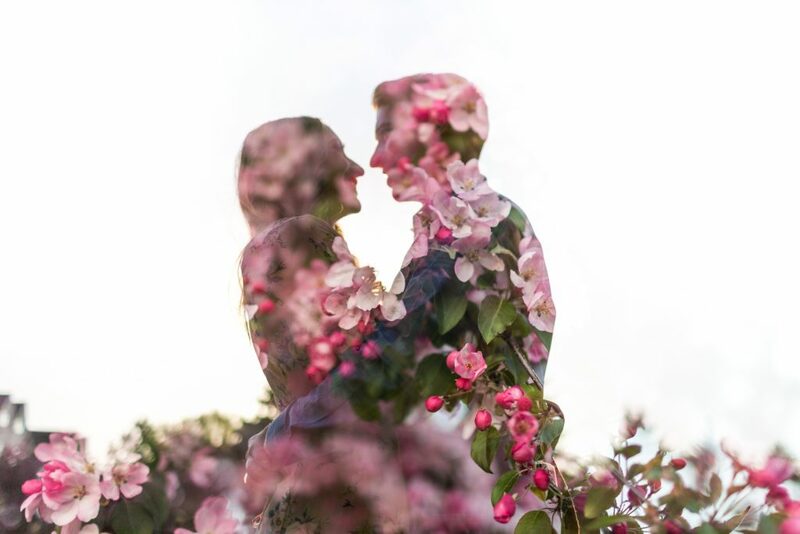 This hidden gem boasts a secluded grove of pink cherry blossoms and winding river valley pathways perfect for engagement photos. 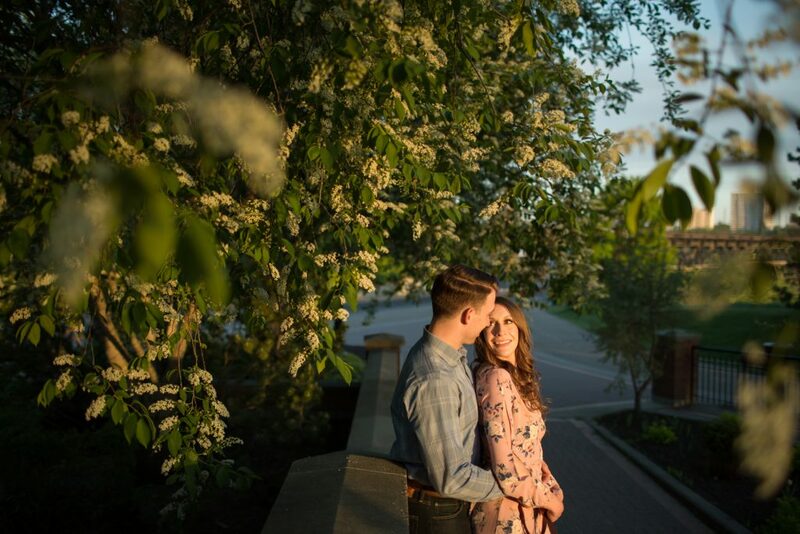 As the sun began to set over the city we headed to Kathleen and Andy’s favourite lookout, Ezio Faraone Park. 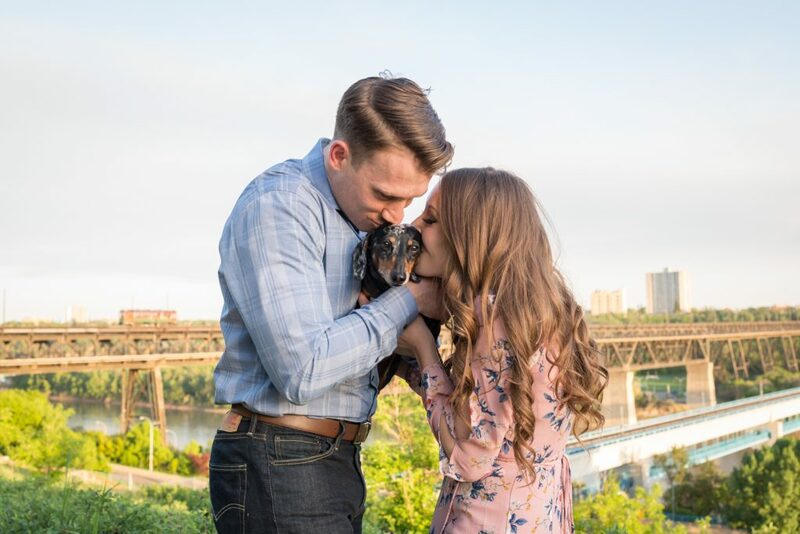 It is part of this couple’s workout routine to run the 202 stairs that lead into the river valley. This evening they were happy to simply walk the stairs and enjoy the stunning view from the top. 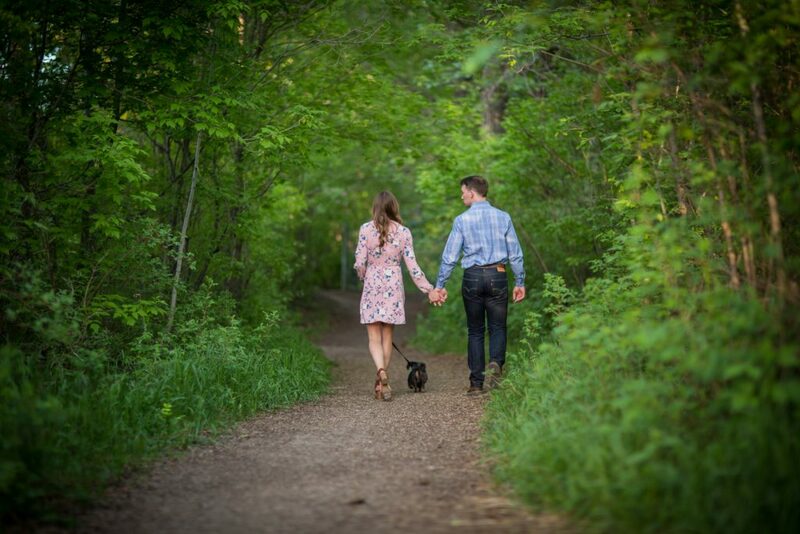 This is one of the best spots to watch the sunset over the Edmonton river valley and to catch an epic Alberta evening sky. The high level bridge provides a unique architectural background and iconic Edmonton landmark. We love the view of the river valley from this bridge! 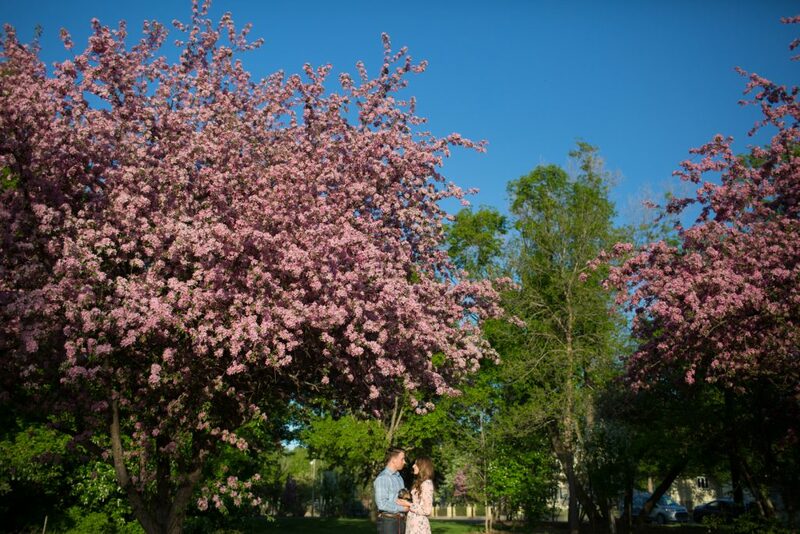 It was a beautiful spring evening for cherry blossom engagement photos and we cannot wait for the wedding in October! 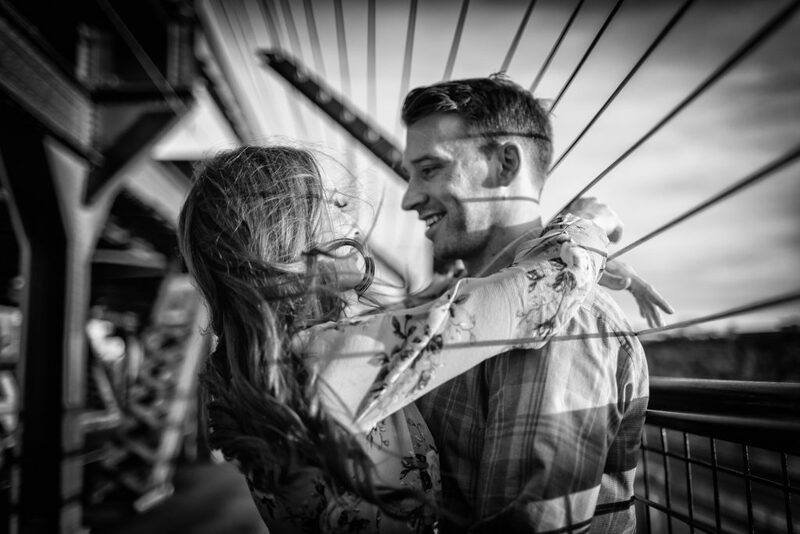 Love engagement photos or looking for inspiration? 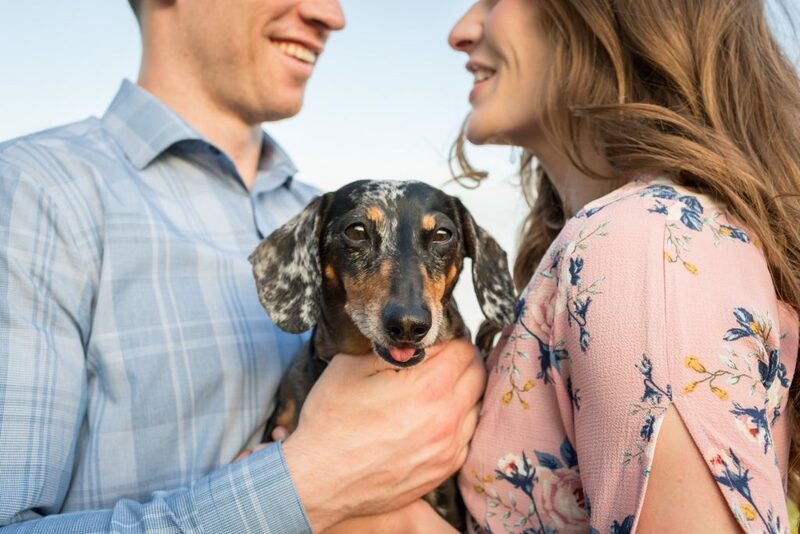 You should check out our portfolio of engagement photos here! 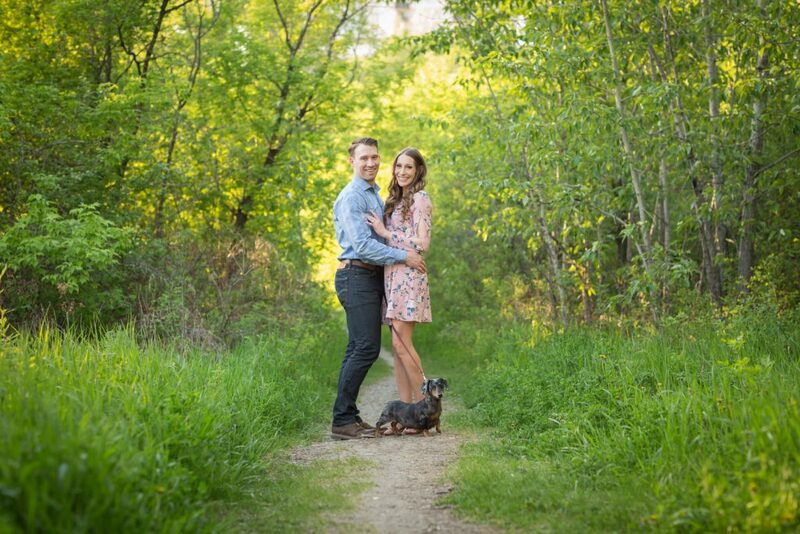 We love casual and romantic engagement sessions set in beautiful locations. 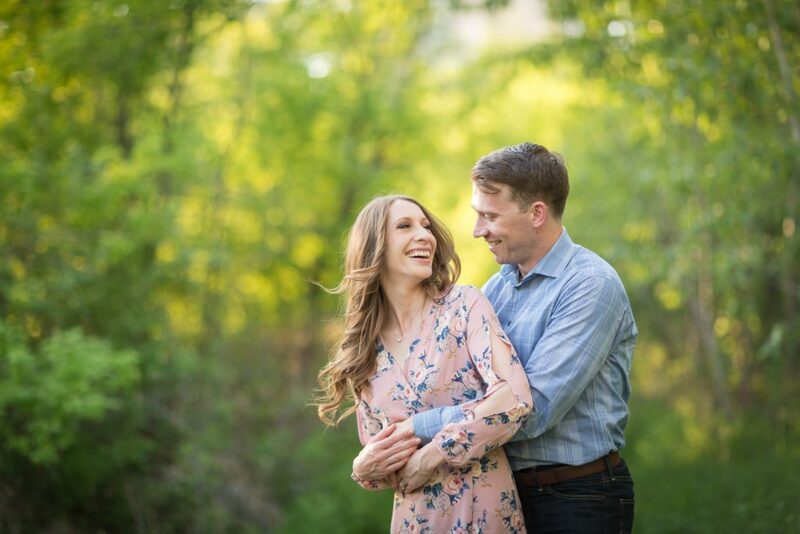 Edmonton offers a lot of hidden gems and we are always on the hunt for stunning new locations with the loveliest of light.